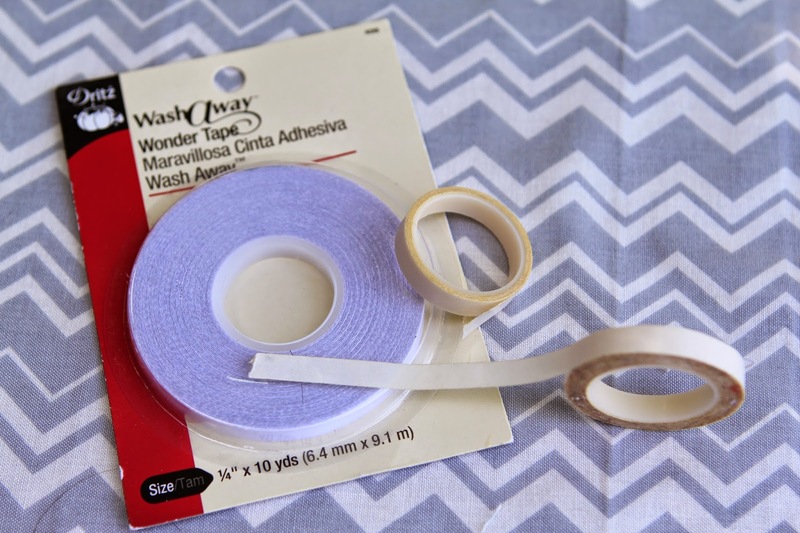 There are some projects that can use basting tape, making things much easier than using pins or using regular basting seams. Pins get in the way, ruin needles if you accidentally sew over them, and poke your fingers! Regular basting seams stay the position unless you take them out and start over. But basting tape has a bit more flexibility. You can move the two items you are sewing together easier AND no pins to sew over. There are lots of brands -- they all seem fine! I used basting tape on my first epattern called 'Hide Your Stuff.....in your closet!' 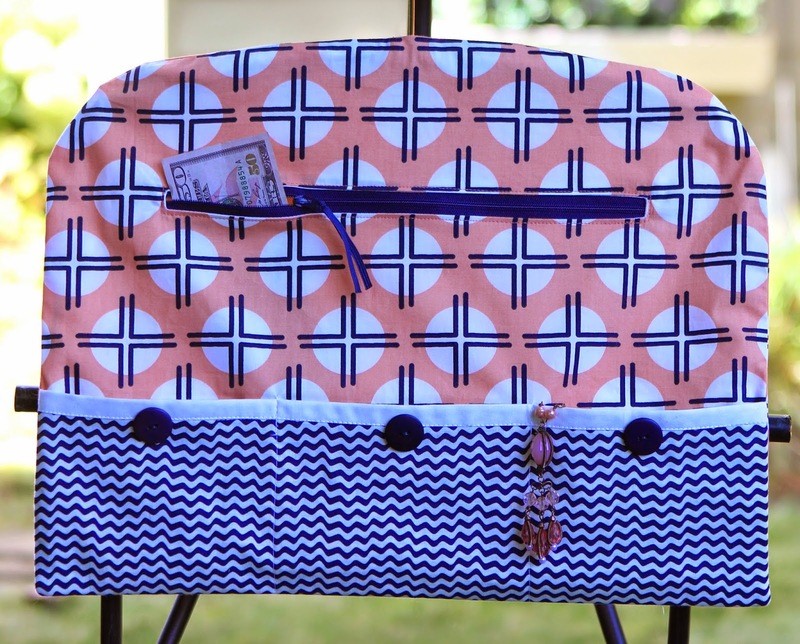 The basting tape helps hold the zipper in the zipper window until and as you sew it in place. Basting tape holds the zipper in place until you get it sewn it! Best Press - maybe my favorite notion of all times! 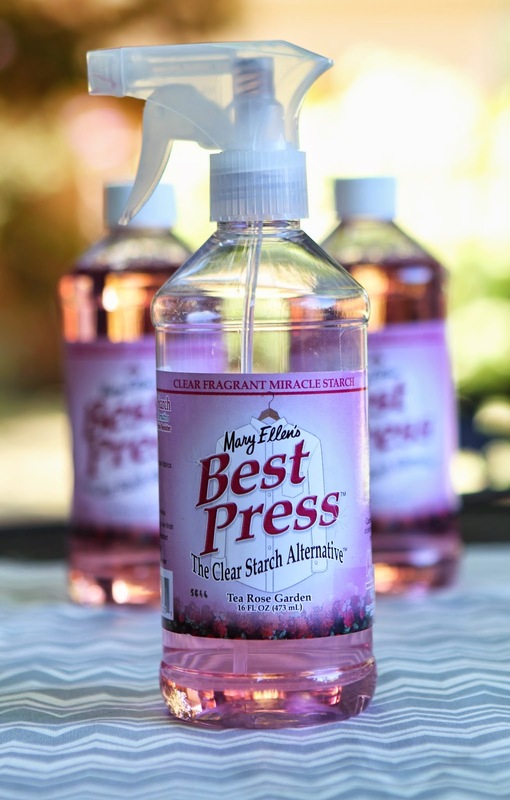 Okay, maybe Mary Ellen's Best Press Clear Starch Alternative is my favorite notion of this whole series. I use it every time I sew - 'cause I press every time I sew. It is very simple. The starch makes the pressing faster and more crisp. Especially those times when a cotton just doesn't want to press a crease. This does the job! And it smells fabulous -- at least 'Tea Rose Garden'. There are other scents but I don't know what they are since I love the rose scent so much, I haven't bought the others. But smelled them at the store and they smelled good too! The Edge Foot and All It's Glory! 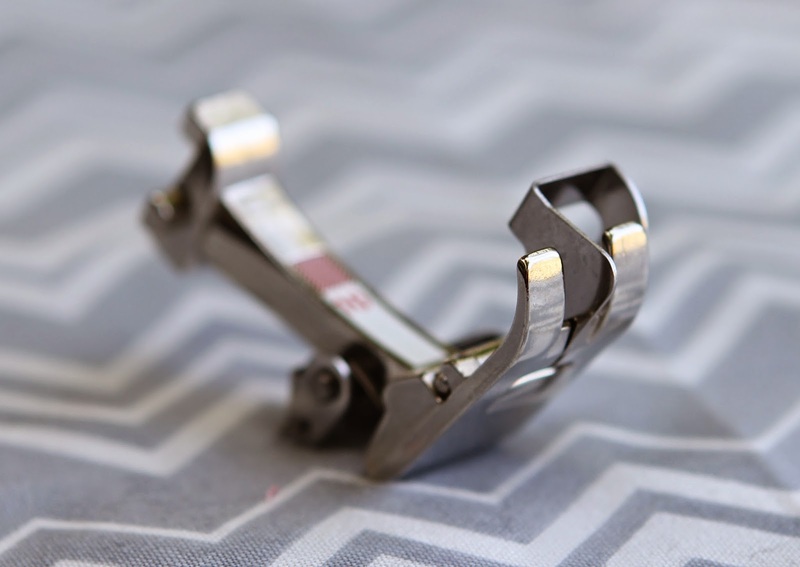 The edge foot happens to be a great accessory for any sewing machine. It has a couple of ways to use it to your advantage. First, obviously, as an edge foot. This is great for things like top stitching along the edge of project. See the blade that comes down from the center bottom of the foot. Align the blade with the edge of the fabric. Then align your needle the distance from the edge that you want. And sew - - the seam maintaining a perfect distance from the edge. This really adds the "perfection" status to your project. Second, the edge foot is great for "stitch-in-the-ditch". The ditch is the seam or junction of two fabrics. Stitching in the ditch means putting a seam right in that junction. When you do this, it seemingly hides the seam -- a great technique when you Don't want the 'top stitch' look. So align the blade in the ditch. Then sew. The blade guides the seam to stay in the ditch. It's magical! Let's say you have made of fabric doll. You have sewn the body of the doll, turned the body right side out, then stick the letter opener inside and smooth out all the edges from the inside with the letter opener. And then it just seems like you start using the letter opener for everything!! I suppose anything that is flat, with a somewhat dull pointed end, will work fine. The top letter opener was a souvenir from a Nauvoo, IL giftshop. The other two are from Dollar Tree. 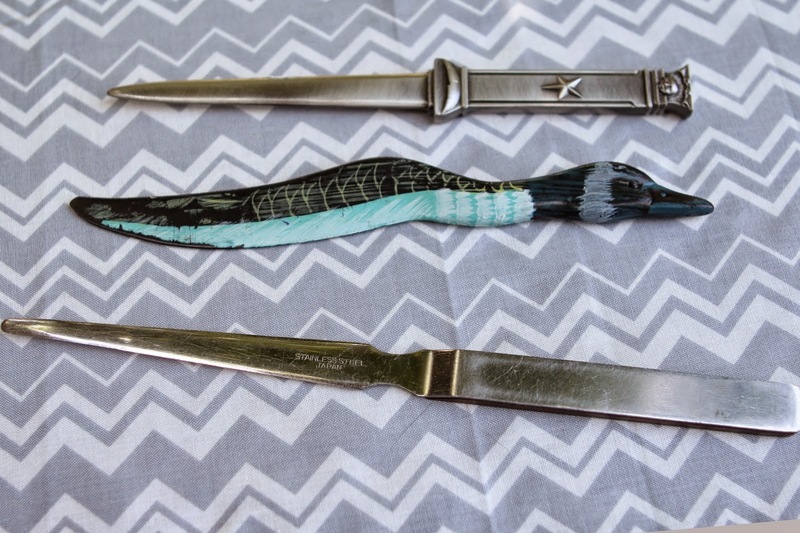 The bottom letter opener is my favorite.